Employee engagement is a key business issue across different organizations today. At the same time, employees have an abundant number of tools at their disposal for better collaboration and productivity due to proliferation of digital technologies in the workplace. Business leaders face the tough challenge of being able to engage the workforce on an individual and team level in today’s digital world. Everyone loves games for entertainment, right? So why not apply it to business? Gamification can be utilized for learning a new skill, creating fun at work and empowering your employees to be engaged. Trust me; this is where gamification comes into play and spurs the motivation level of employees in the long run. According to Gartner, gamification strategies would become “as important as Facebook, eBay or Amazon” (Source: SocialMediaToday). It creates friendly competition and supports behavioral changes among employees, which is hard to influence in business today. It also plays an important role in engaging employees. Employee Advocacy is a relatively new marketing concept with significant strategic business potential. Employees already share positive company news across their personal social channels without any formal support and encouragement from their employers. The next logical step is to gamify your Employee Advocacy program for improving the adoption of this communication strategy among employees in the organization. Empowering employees to build their personal brand with reward points and challenges. Gamification is a marketing tactic and shouldn’t be used in silos. With clear objectives in place, gamification enables you to come up with appealing content, devise a rewarding game plan and nurture your employee brand advocates with suitable rewards for their whole-hearted efforts. Gamification creates friendly competition among employees. The key lies in using game elements optimally to attain the organization’s overall business goals. These include for example points, levels, badges, leaderboards and goals that can make your Employee Advocacy programs successful through gamification. The ultimate goal is to encourage employees to adopt and learn a new skill (a new-gen marketing communication tool) in the short-term. In order to sustain a long-term game plan, the choice of rewards plays a pivotal role. Organizations should balance a mix of both monetary and non-monetary rewards to improve the scalability of Employee Advocacy programs in the future. 1. Monetary rewards — Can comprise of free lunches, discount coupons, freebies, corporate branded merchandise, movie tickets and so on. Recognition in town-hall meetings, email communication, intranet and internal newsletter. This lists goes on and on because sky is the limit to devise rewards programs. Therefore, create a gamified reward point system for each activity of your employee brand advocates to promote your social brand online successfully. The primary business goal of any Employee Advocacy program is to turn your employees into trusted brand advocates. So go ahead and harness the power of gamification to create an army of employee brand advocates in today’s digital world. Let us inject a little fun in the form of friendly competition and creative rules of play to increase employee engagement and rapid adoption of new Employee Advocacy tool in your organization. The game is on to foster a sense of community and culture of collaborative sharing! 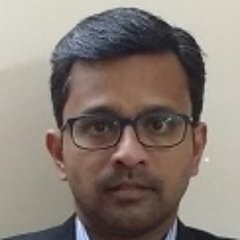 Dr. Venkatesh Raman is a technology marketing professional with hands-on experience in human capital management (HCM), marketing communication, community engagement, social media, content and product marketing across IT, Automotive & Pharmaceutical verticals. He is an experienced advocacy marketer, institutions branding enthusiast, and avid blogger on emerging technologies in HR and Marketing domain.